Always a Horror FansteemCreated with Sketch. 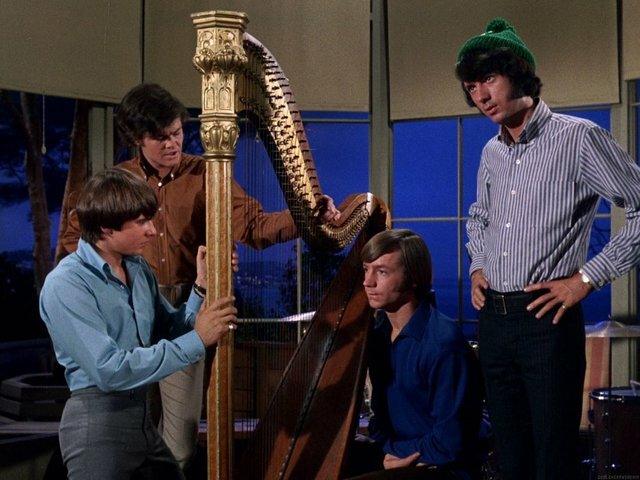 Peter Tork (seated) wanted to play the harp so bad he dealt with Ol Scratch in an episode of The Monkees television series. So Peter Tork died on February 21. Tork was famous for being “the dumb one” in the late 60s television series, The Monkees. For people who may not know, The Monkees was a hit TV series a half a century ago; it was about four early twentysomething guys who lived in a goofy beach house near LA and played in a band. The Monkees as a group also recorded albums and released singles IRL, which they played on their show. Several of their songs became top 40 hits, such as I’m a Believer, Last Train to Clarksville, and Daydream Believer. The show and the band fell apart after about three years, for a variety of reasons. One of them was that group member Mike Nesmith, who was independently wealthy because his mother invented Liquid Paper, wanted to do less commercial and more experimental music. Years later, as the show played in syndicated reruns for a new generation of fans, the series was hailed as the forerunner of MTV and its music videos. The Monkees show debuted when I was six. I usually watched the show every week and Peter Tork was my favorite band member. Everybody else swooned over Davy Jones, “the cute one,” but I had a crush on “the dumb one.” I always had to be “different,” even as a tiny tot. I remember most of the songs that were played on the show. But I only recall the actual plot of a single, solitary episode. That was an episode where Peter Tork sells his soul to the devil in exchange for the ability to play the standing harp. The Devil and Peter Tork from 1968 is the only episode that stuck with me all these years. Proof that I was always a horror fan. I watched The Monkees when I was a kid too. I seem to remember lots of chase sequences and general messing around, but it has been a long time. I am lending my support to those who won in this competition by @slobberchops. You get a vote and some extra SBI from me. I hope you become a minnow very soon. No problem. Did you look at powering up your Steem? The #TenKMinnows project will give more to those who show confidence in Steem by powering up. Let me know if you are still not sure how to do this. I powered up Steem power but not Steem. Was I supposed to do that as well? That 112 Steem could be powered up to nearly double your vote and get you closer to being a minnow. 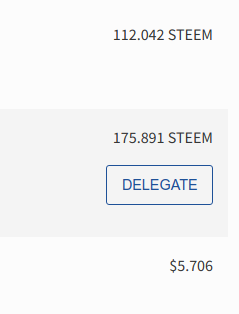 You can convert your Steem Dollars to Steem via the market if you like. I would say that at this point you are best off powering up unless you urgently need some Steem to cash out or spend. Thanks for sharing your memories of the Monkees. In addition to the songs you mentioned, I also like Stepping Stone, Valerie, Daily Nightly, and The Porpoise song from their movie Head. I like 60s TV, movies and music. The times were changing and it was reflected in the day's entertainment. Daily Nightly is a great performance from the underrated Mickey Dolenz. Also his astounding performance on No Time; most of these videos are posted on YouTube. I don't know if I have heard No Time before, but I just listened on YouTube and its pretty cool. Kind of a mash up of Little Richard, Chuck Berry and The Beatles. YouTube has almost everything ever recorded on it. I almost always find what I'm looking for on there. Yup, it's a great resource. Even if you're researching historical events for a story or article, you can often find news or radio broadcasts straight from that era. I think these songs were already playing on the "Oldies" Station when I was growing up. That's too bad about Peter Tork. I think I saw them perform a couple of years ago at the local county fair. I remember my sister in law was very excited about it. Their first two albums were basically done by sessions musicians. The third was the Monkees themselves. It immediately went to the top of the charts. For one week. And then Sgt. Pepper’s Lonely Hearts Club Band was released. Yeah, I knew they didn't play their own instruments for a while, but they still did the vocals.